Step into the ultimate Multiplayer Online Battle Arena and experience the best elements of online RPG combat boiled down into fast paced game sessions! EU vs NA match up falls short of hype, Fnatic clean 3-0 looking for their 2nd summoners cup. Will this Emmy nomination for ELEAGUE and League of Legends thrust eSports into the public eye? The world of eSports makes money, but does it help -- or hurt -- the fostering of new ideas? How to receive your LoL Preseason Update Rewards. Read this guide to learn how you can gain the most possible Blue Essence before Season 8's preseason starts! Online competition can be intense, but with these five tips, the intensity will turn into fun. More than a year after Brexit and the drop in value of the UK pound, Riot Games decides they need to act on the change. Follow these simple instructions to disable the zooming feature in League of Legends and free up your mousewheel. Think you've spent a lot of time and money while playing League of Legends? Here's exactly how you can know just how much. Can't figure out what to do with Victor's Emblem in LoL? Here's the answer! This guide will explain how to install and start playing the new fan made Pokemon League of Legends. With plans to overhaul the runes and masteries system, League of Legends is poised to make the game infinitely more accessible to newcomers. League Of Legends: Vel'Koz Review, OP Much? 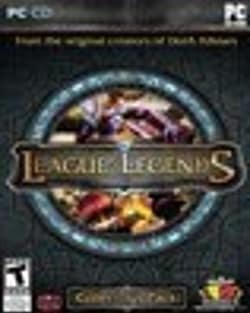 League of Legends: Is it Legen... dary?